Last Sunday was Mothers Day so I’ve been thinking a lot about my kids and what it was like when they were growing up. My first thought was that I was really lucky! Lucky because my kids turned out great, and I didn’t have a clue what I was doing when I was raising them. Sometimes I wonder what God was thinking when He let me be their mom. Oh I worked hard at being a good mom. I read books, and went to seminars & moms’ groups, and got input from moms who were farther along in the parenting thing than I was, and prayed… a lot. But when it came right down to it, I mainly just took it one day at a time, trusting that God knew what He was doing when He gave those three kids to me. Recently I’ve told my daughter and daughters-in-law that my motto as a mom was Whatever Works. There’s so much advice out there (and even more now with the internet!) that moms need to keep reminding themselves that whatever works for you and your kids is probably going to be fine. In looking back, there were some things I tried to do intentionally, and some things that just happened naturally because of who I am. They’re things that may have played a part in growing up three great kids who are now young adults that I not only love, but also really like and respect. Here are some things that come to mind. 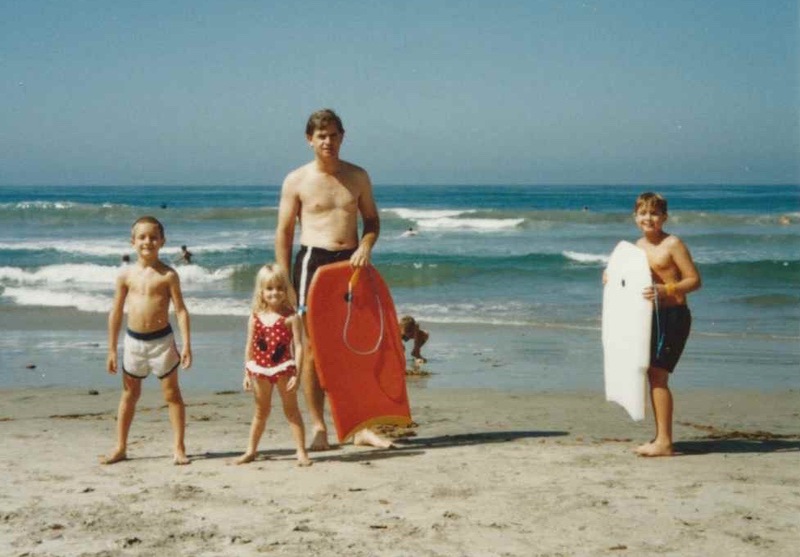 Our family was a priority – doing things together as a family was more important than anything else in our lives. And yes, my husband was a pastor, but family still came first. There were other people who could be a good pastor at our church, or Precept Bible Study teacher, or Women’s Ministry Leader. But if our kids were going to have good parents and a good family life, we were it. Vacations, vacations, vacations – even though we couldn’t really afford it, we did it anyway. Building family traditions – we were big on creating things in our years while the kids were at home that we “always did.” Whether it was our Christmas Eve picnic by the fireplace or a big summer calendar that they found on the kitchen door when they got home from the last day of school each year. Each tradition helped create a sense of belonging, which is so important for all of us. Talking and praying with each of the kids at night before they went to sleep. Opening up our home to others for meals, holidays, parties, Bible studies, etc. Making sure that our “rules” had meaning behind them – we tried really hard to make sure our expectations for our kids were based on either God’s clear plan for how we should live, or things that were important to us as Gudgels. Getting away as a couple twice a year and taking some time to evaluate how things were going in our family, marriage, personal lives, church, and connecting with the lost world around us. We would talk about each of the kids individually and set some goals related to what we could focus on during the next six months to help them with whatever was going on at that time in their lives. As I look back, I think we did pretty good – by doing our best to be intentional about parenting, trusting God to give us strength and wisdom, and then simply doing whatever worked at the time. May you rest in the knowledge that God knew what He was doing when He gave you your children. And may you trust Him to lead you in the adventure of parenting.